The book deal reportedly broke a record for presidential memoirs. 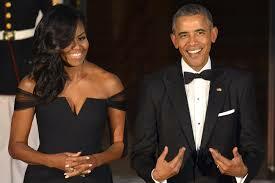 Penguin Random House will publish forthcoming books by Barack and Michelle Obama, the publisher announced Tuesday. The former president and first lady will publish separate books, but jointly sold the rights. The auction to secure the publishing deal for the two books topped $60 million. The figure is a record-breaking total for presidential memoirs, the Financial Times reported. The rights to Bill Clinton’s 2004 autobiography, “My Life,” netted $15 million; George W. Bush’s 2010 “Decision Points” scored an estimated $10 million.